2017 has been a year full of weird brow experiments. 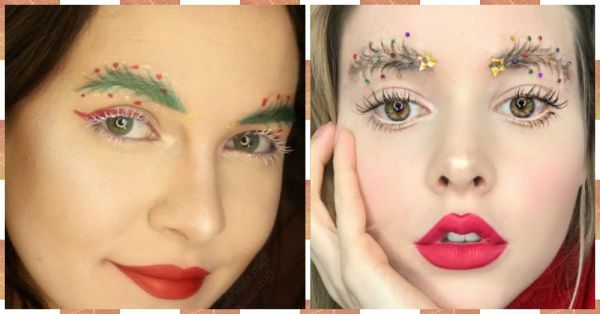 Braided brows, squiggly brows, feather brows, crown brows and now...Christmas tree brows! Honestly, we have mixed feelings about this beauty trend, but brownie points to Melissa, Mila and Taylor R for creativity. If you take a closer look at Taylor’s brows, you’ll notice that they’ve been groomed in a zig-zag fashion. To create an ornament effect, she’s carefully placed tiny, colourful jewels. 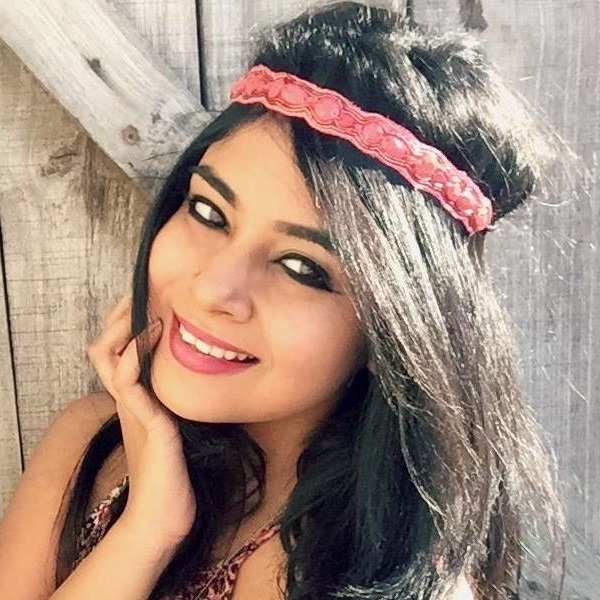 For the finishing touch, she affixed two golden stars on both eyebrows. (Just how the top of any Christmas tree would look) If you’re keen on giving this trend a shot, you’ve got to check this quick beauty tutorial out. Melissa on the other hand, has taken the trend a notch higher. She’s not only added jewels and metallic star stickers, but also wrapped her brows with a gold string and added tiny presents underneath the tree! But the one Instagrammer who takes the cake is Mila! She’s painted her brows green and stuck to a colour scheme of red, gold, green and white! Not to mention that her candy cane eyeliner and snow-white lashes look pretty awesome. In other news, you’ve got to check out this new hair trend that’s doing the rounds — it’s called Christmas tree hair! We aren’t sure if we’ll try it in this lifetime, but it would make for an unforgettable selfie, don’t you think? Happy Holidays Y'all!